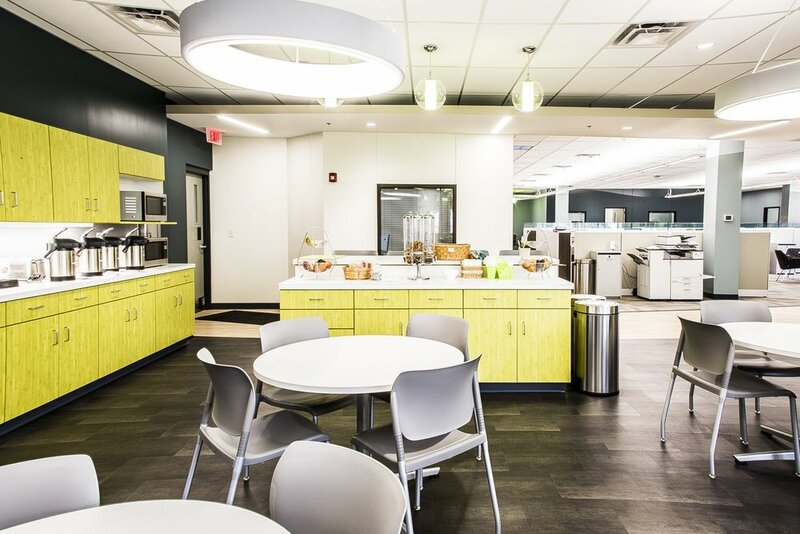 The goal of this project was to complete an interior renovation that would result in better work flow and an enhanced employee experience. The renovation work was concentrated on the office use areas and the entry and lobby area. The scope included renovation and reconfiguration of approximately 24,000 sq. ft. of the existing 65,000 sq. ft. facility. 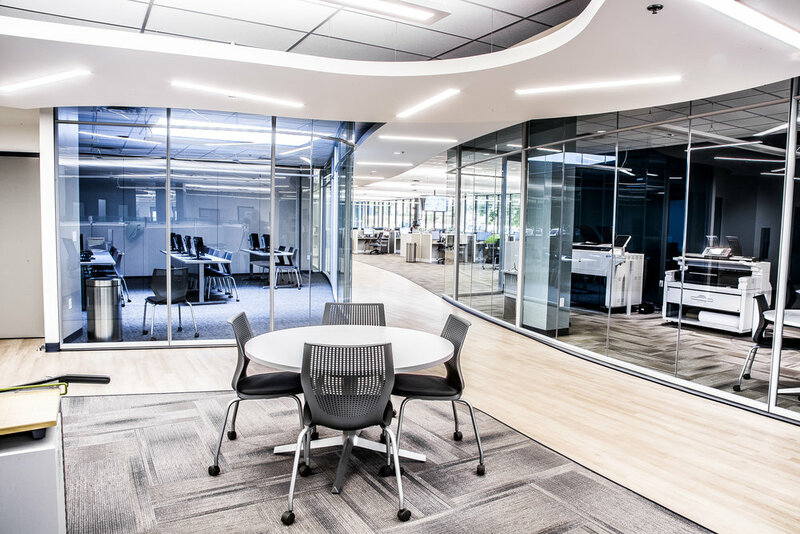 Through light, views, and desire lines, the renovated office exudes the presence of a 21st century IT company.